BSNL waives off installation charges upto 100 per cent for New and Disconnected customers on PAN India basis under Landline/Broadband services. 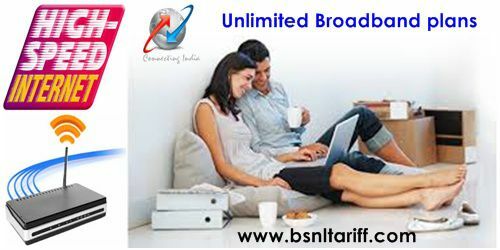 State owned Telecom Company Bharat Sanchar Nigam Limited (BSNL) announced discount offer upto 100% in all Telecom Circles for New and Disconnected customers of Landline/Broadband and Fiber Brodband (FTTH) connections across the country. According to the latest information from BSNL sources, Free Installation Charges will be offered for New and Disconnected customers as Promotional Offer basis without any hidden charges and available upto 31st March, 2016. Waive-off installation charges for New Landline connection of Rs.600/- (For urban area customers) and Rs.550/- (for rural area customers). Waive-off installation charges for New Broadband connection of Rs.250/- (For both Urban & Rural area). Waive-off installation charges for New Landline + Broadband connection of Rs.850/- (For urban area customers) and Rs.800/- (for rural area customers). Waive-off installation charges for New Fiber Broadband (FTTH) connection of Rs.500/- (for rural and urban area customers). The above offer will be available in all Telecom Circles as promotional basis (It depends on Telecom Circle technical feasibility and availability) upto 31st March, 2016.